The Hopituh Shinumu (Hopi) have a long tradition of making pottery. The quality and creativity of pottery design had reached a peak in the ancient town of Sikyatki between the 14th and 17th century. 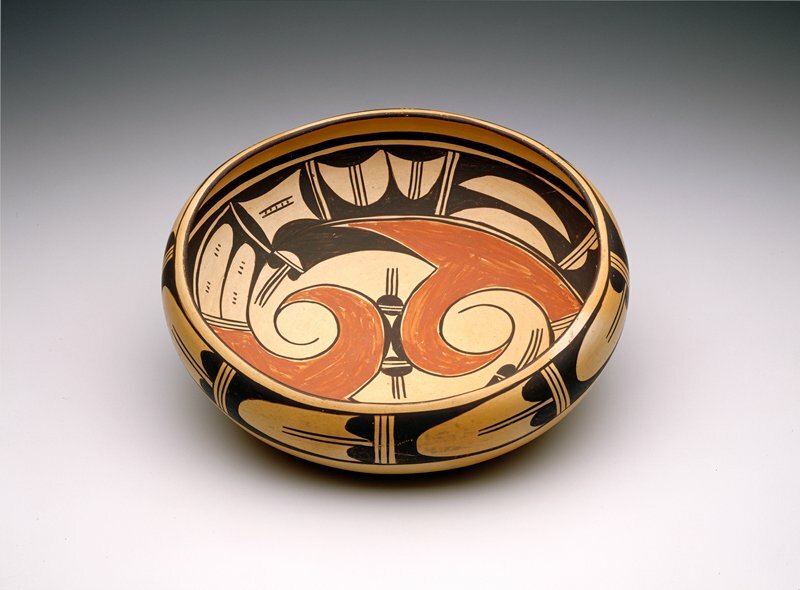 By the time the former Indian Agent and Englishman, Thomas Keam set up a trading post in Hopituh Shinumu territory in 1875, pottery had declined and many were making white-slipped vessels with A'shiwi (Zuni)-inspired decoration. With Keam's encouragement, the revival of the Sikyatki style began and was led by Nampeyo, a potter from the First Mesa town of Hano. Common elements of the Sikyatki Revival Style include abstracted birds and feathers, bold curvilinear lines, and a characteristically low vessel shape.